Located less than 1-hour drive by boat from Split, Brac island has always been on the bucket list of many fellow travelers. It stretches over the area of 396 square kilometers (153 sq mi), making it the largest island in Dalmatia, and the third largest in the Adriatic. 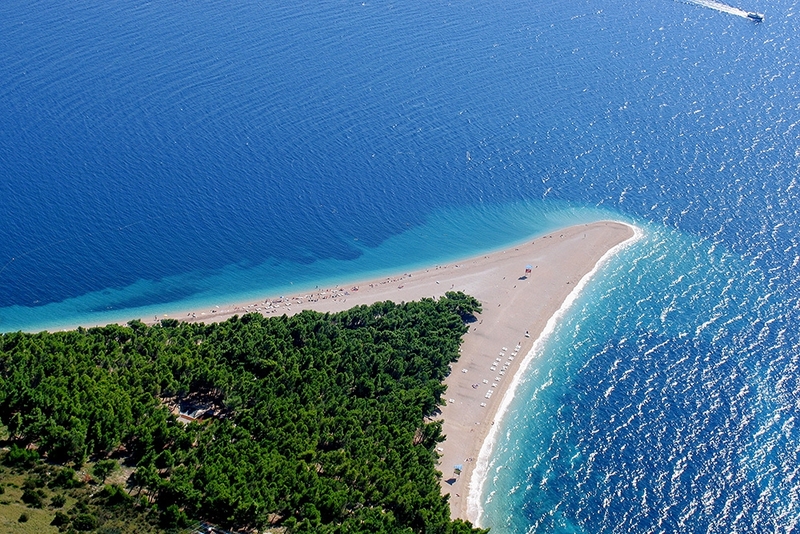 Brac is generally famous for two things: its white stone, used to build an ancient Roman masterpiece in Split, Diocletian’s Palace, and the White House in Washington, DC, and Zlatni Rat, the long pebbly beach at Bol that proudly extends into the clear blue Adriatic. Just like any other Dalmatian island, Brac island also boasts astonishing treasures offering you walks and hikes among vineyards, along rocky coasts sheltered by green pine forests, up steep hillside paths to remote monasteries. Everywhere are ancient olive trees as, an old, yet proud witness of land scarcity which is probably one of the most important causes of the years-long poverty of persistent and hardworking inhabitants of this Dalmatian gem. With several towns, sleepy villages and a dramatic Mediterranean landscape of steep cliffs, inky waters and pine forests, Brac island is definitely a must for every curious passenger weather interested in history and culture, gastronomy, natural beauties or adventure. Brac island has all it takes to satisfy everyone's needs. Zlatni rat is probably the most frequent motif on Croatian postcards. Made up of smooth white pebbles, its elegant tip is constantly shuffled by the wind and waves. It is Croatia's largest and most famous beach that stretches 500 meters vertically into the sea. Pine trees provide shade and rocky cliffs rise sharply behind it, making the setting one of the loveliest spot to fully enjoy unique island lifestyle. Zmajeva špilja is located near the village of Murvica, about seven kilometers from Bol. It was a temple and dwelling of the Glagolitic priests. It is ornamented with the elements of the Slavic mythology as well as the Christian iconography carved into its walls and it can only be accessed on a guided tour. It takes approximately 1-hour walk up an elevation of 300 meters, clambering over rocks, past steep cliff faces and tough terrain so it is recommended to wear sporty attire and to bring a bottle of water with you. With already being said Brac island is perhaps best known for its world famous white stone, it has to be emphasized that this island rich in stone is scarce in a soil which made winemaking process a bit hard despite the favorable Mediterranean climate. That, of course, did not stop persistent Brac people to make the most out of scarce land and favorable climate and dive into the adventure of winemaking. Nowadays, thanks to the efforts of hardworking people, there are plenty of wine cellars throughout the island standing out with its award-winning wines. One of those are Senjkovic and Stina wines, both being family-run wineries, and not only you can take a sip of one of the best Brac drops there but also taste some of the local delicacies. 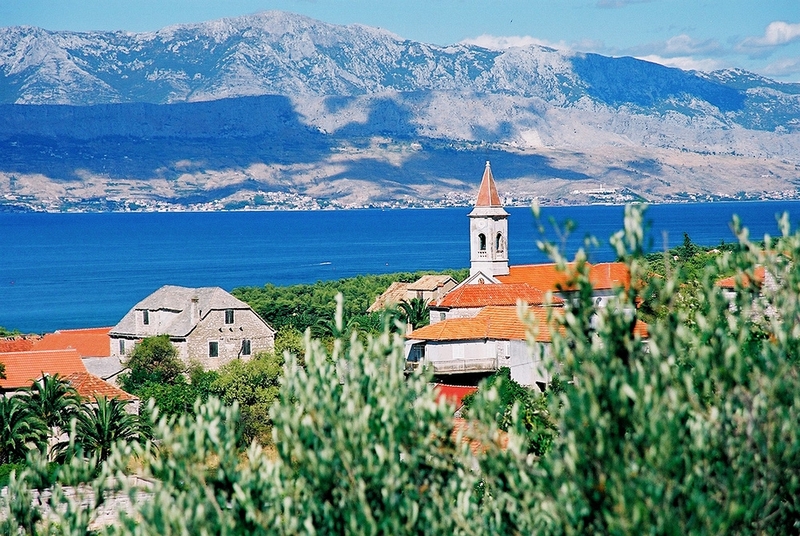 Vidova Gora is the highest summit, not only of the island of Brac but of all Adriatic islands. If you aren’t into hiking or visit Brac during the summer, note that Vidova Gora is also easily reachable by car. The climb can be exhausting because of the fact that the wild terrain of 780 meters of height must be mastered. On the other hand, once you are really there, you are privileged to enjoy the divine view of Bol and its popular Golden Horn beach which makes the climb definitely worthwhile! Muzej Uja is nestled in a small town of Skrip. A small family-run museum displays traditional equipment and tools used to process olives into olive oil and offering you a great opportunity to familiarize yourself with the traditional process of olive oil production and to find out about its importance in the Mediterranean diet. The island of Brac is famed for the white marble found on the island. The only Stonemasonry School in Croatia, and one of the few in a world, where students still learn a manual stone works, is found in Pucisca on the island of Brac. The 400 years old Blaca monastery is located on the southern side of Brač Island. It began in a stone cave where a couple monks of the Croatian Glagolitic Order used it as a place of solitude to dedicate themselves to God. Blaca was also worldwide known astronomical observatory. It was added to the UNESCO World Heritage Tentative list. Whichever Brac path you decide to take, we are pretty sure it is going to be an exciting and memorable one. ENJOY YOUR UNIQUE ISLAND ADVENTURE!